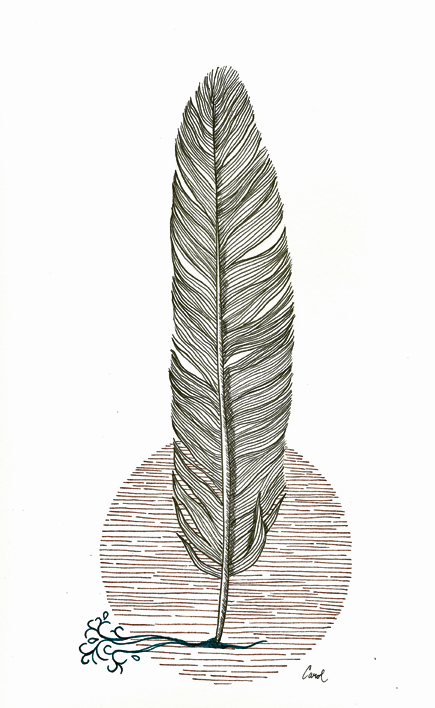 This feather design was drawn entirely with a fountain pen in three colors. This drawing began as an idea for a circle design and became what you see here. It was drawn entirely with fountain pen and three different colors of ink.